Put it on your Auckland Council rates over 9 years at a very competitive rate. SAYR is a preferred supplier for the Auckland Council Retrofit Your Home Program. Ask us how today. Whether building new, renovating, or just modernising, insulating your home is the single most effective thing you can do to keep your home warm in winter, cool in summer and to save energy and money. • A fully insulated home needs about half the heating an uninsulated home requires to maintain a warm and healthy indoor temperature. • A well-insulated home provides year-round comfort; it will help stop precious heat loss in winter and reduce heat gain in hot summer months. • A well-insulated home provides a healthier environment with less risk of colds and other respiratory illnesses. Insulation also reduces condensation and mould. • Insulation helps reduce unwanted noise. Thermal insulation is a general term used to describe products that reduce heat loss or heat gain by providing a barrier between areas that are significantly different in temperature (i.e., inside and outside). Insulation can work in a number of different ways, but it most commonly is made from materials that consist of millions of tiny pockets of air. Still air is an extremely good insulator, and trapped pockets of air are what give most common types of insulation their high thermal resistance. The effectiveness of thermal insulation is measured by 'R-Values'. The R-Value describes a material's resistance to heat flow including conduction, convection and radiation. The higher the R-Value, the better thermal insulation it provides. There are two common R-Value terms used in NZ; the R-Value of the insulation material itself known as the 'Product R-Value', and the R-Value of the total construction including all other layers of materials which may be concrete, bricks, timber and plasterboard etc. which is referred to as the 'Total R-Value'. The New Zealand Building Code sets the minimum Total R-Value requirements for homes and buildings. The New Zealand Building Code provides mandatory minimum standards for energy efficiency of our homes and buildings. There are different Total R-Value requirements for walls, ceilings, and floors depending on where you live. Adding thermal insulation to exterior walls, ceilings and suspended timber floors is the simplest means of complying with these requirements. Keep in mind that these are the minimum insulation standards and there is significant benefit from going beyond the minimums. If you're building or renovating, your designer will specify the type and R-Value of the insulation as part of the building consent process, but remember it's your home and your choice as to what gets specified and used. Make sure you have the conversation before it's too late! Meeting the minimum standards will provide you a comfortable home. Going beyond the minimum standards will give you an even greater sense of comfort, a healthier environment for you and your family, and will save you money in the long term. Heat rises, so the greatest impact on keeping your home warmer in winter will come from more insulation in your roof. 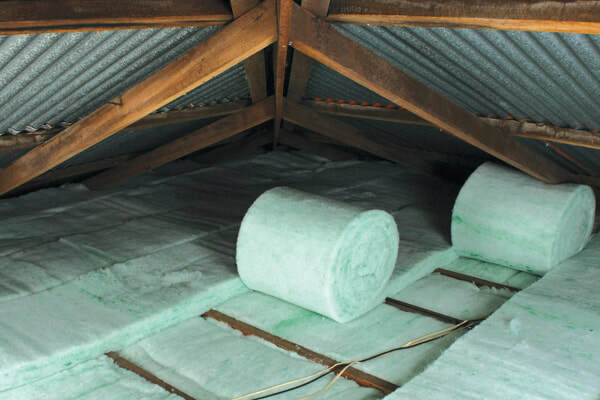 Best practice is a double layer installation of a blanket type insulation (like GreenStuf® Polyester Blanket/Roll Form) where one layer is installed between the ceiling joists and the other at right-angles to and over the top of the first. This helps to eliminate the negative effects of gaps between the insulation and timber, and the heat loss through the timber itself. A double layer of insulation can perform significantly better than a high R-Value single layer.